Amaranth greens are the leafy portions of the alfalfa plant. These greens are used interchangeably with other greens like spinach and kale in salads. Amaranth greens are also commonly used in the dish callaloo, and may be referred to as such. See: Amaranth grain. 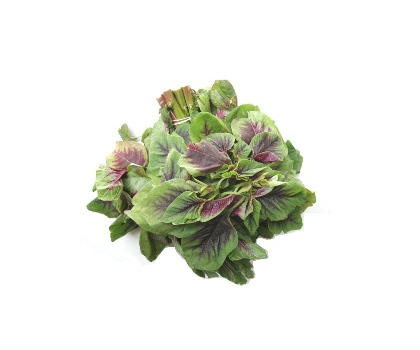 Amaranth greens are low in saturated fat, and very low in cholesterol. They are also a good source of niacin, and a very good source of protein, vitamin A, vitamin C, vitamin K, riboflavin, vitamin B6, folate, calcium, iron, magnesium, phosphorus, potassium, zinc, copper and manganese.